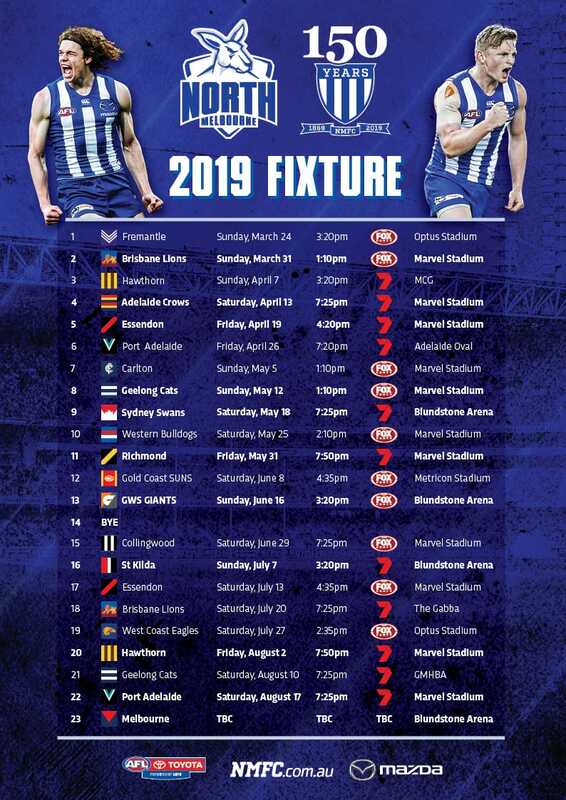 The AFL has announced the official 2019 JLT Community series fixture, which will see North Melbourne take on St Kilda and Port Adelaide. In week one, the Roos will host the Saints at Avalon Airport Oval in Werribee. New recruits Jared Polec and Jasper Pittard will see an early return to South Australia, when they face their old side at Alberton Oval in the second and final game of the series.